The world of Narnia is an exotic and adventurous place that exists outside of our own. It was created by The Great Lion, Aslan and like any world, experiences times of extensive peace as well as tragedy, conflict and war. It is filled with fantastic characters and creatures such as talking animals, dragons, fauns and much stranger and wonderful things. The series of seven fantasy books cover everything from the creation of this magical world in The Magician’s Nephew, to it’s end in The Last Battle. 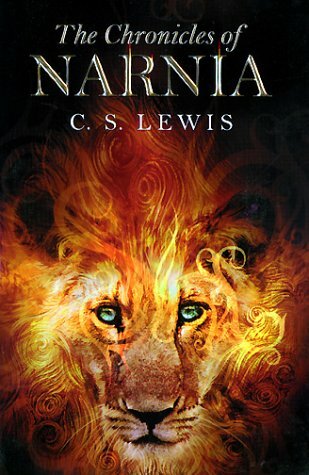 All of the books, with the exception of The Horse and His Boy retell the adventures of children from our world, the real world, who are magically transported into the world of Narnia to encounter great adventure. Most people will have heard of, or at least seen, the most popular book, The Lion the Witch and the Wardrobe, an outstanding story to say the least. I think they’re all fantastic for a whole bunch of different reasons (and I don’t even really like fantasy!). It is such a captivating fantasy world and it’s easy to get attached to, as well as angry with, the characters. It is an excellent book for early high school readers, but I can also recommend it with confidence to older students and adults alike. The analogy, insight and wisdom that C. S. Lewis integrates into each of his stories makes them unique and valuable books. Just writing this has made me want to read them again! An unmissable read for anyone. 5 stars.